Baby showers don’t often wield the most exciting gifts, diapers and baby clothes are usually the order of the day which is great and all but what do new moms really need? 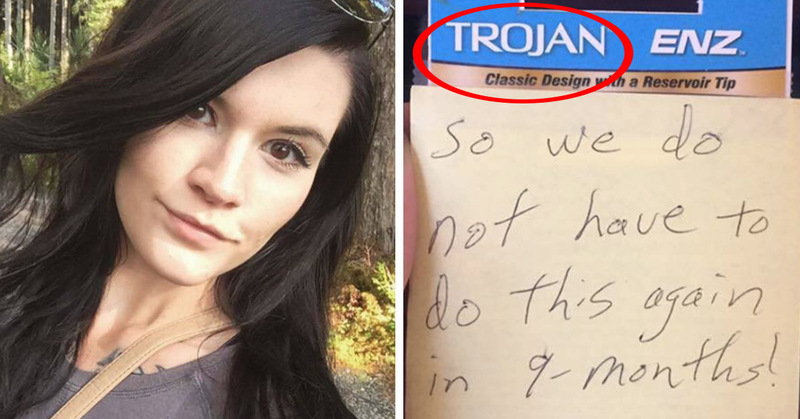 This uncle knew exactly what the new mom in his family needed and came up with hilariously creative presents that are probably far more helpful than a breastfeeding pillow! Of course, our little ones are never a mistake but after having one, you might want to think twice before committing to another baby anytime soon! 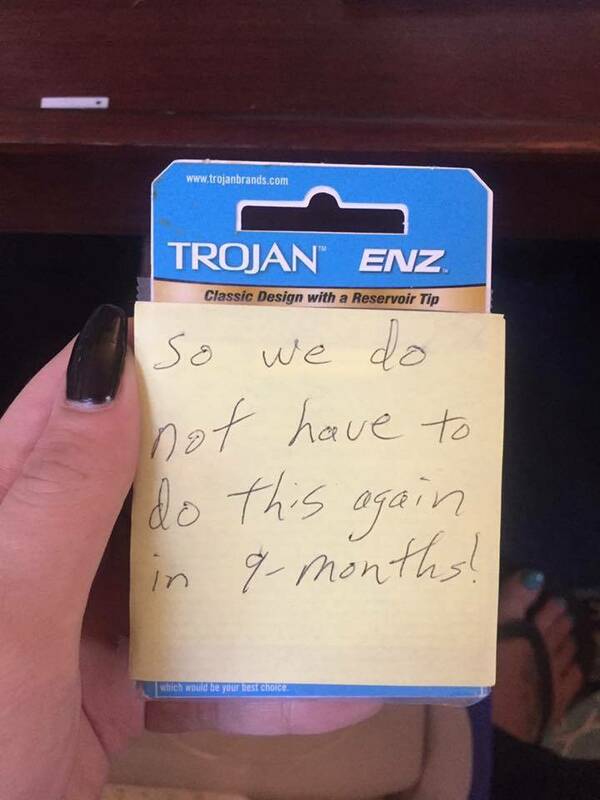 So, condoms are definitely a must-have for new moms, I doubt she wants to endure another grueling 9 months! Not until she can forget how painful it was first time! 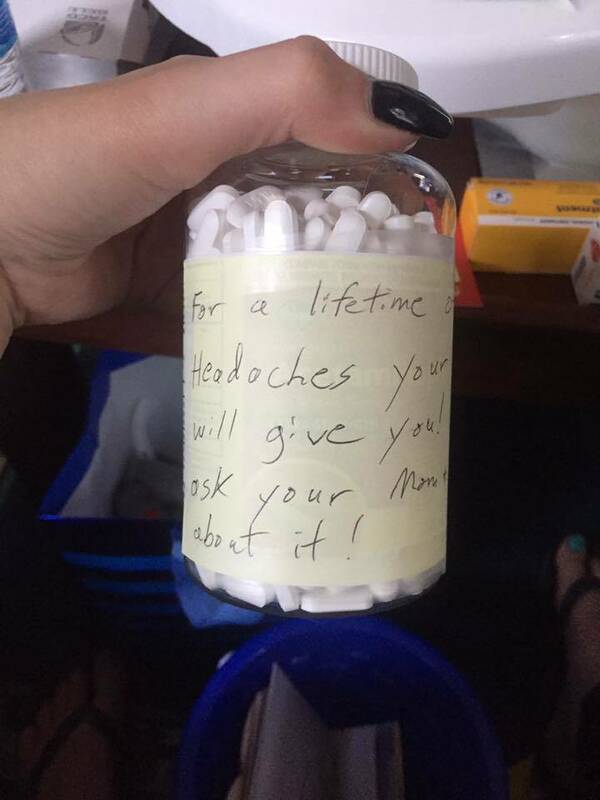 Kid’s obviously aren’t aware of the headaches they gift you with the second they are born so you can’t really blame them. This is why Aspirin is very important, it keeps you sane and stops you from wanting to scream at your child 24/7! This uncle really does know what he is doing.